Carolina Sandstone is an interior plaster that resembles Marmorino or natural limestone. Its ease of application allows both roller and trowel application. 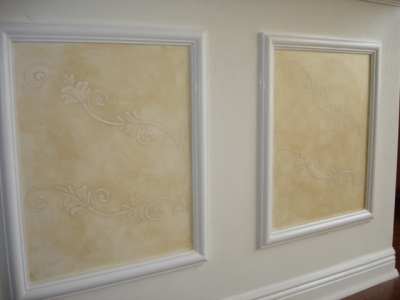 The later is a good candidate for cracked plaster finishes. Carolina Sandstone can be colored with universal colorants and stained or washed with stonewash pigments. Texturline strongly suggests that all installers follow procedures laid down in our manual (on line) or after taking a program given by one of our approved associate training facilities. 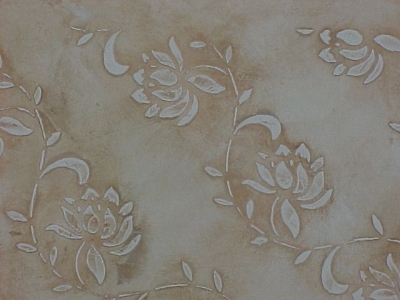 Carolina Sandstone can be used as a finish that can be applied on interior surfaces. A typical installation will produce textured or polychromatic stone like effects. Colors: Texturbase is normally tinted into the bases with universal colorants or by one of our distributors using any paint manufacturers colour chips.